Allen and Lisa were both born and raised in the state of Alabama. Allen also spent a few years of his childhood living in Springfield, Missouri before moving back to Alabama at the age of ten. Allen and Lisa met at a revival service while they were both attending the University of Alabama. Allen was leading worship at the service and Lisa’s pastor was preaching. Allen has said the only “decision” made during the revival meeting was, “I have to get to know this girl!” They were married a few months later. The Lord has blessed Allen and Lisa with three wonderful children, a daughter-in-law, son-in-law, and three grandchildren. Their son, Daniel, his wife Kristy, along with children Sadie, Emma, and Grady live in Iva, SC where Daniel serves as Pastor at Good Hope Baptist Church. Lauren and her husband, Matt Dobson, live in Marietta, GA where Matt is part of the Middle School Ministry Team at Johnson Ferry Baptist Church. Faith is a junior at Truett-McConnell College. Both Lauren and Faith appear in Sherwood Pictures’ “Courageous.” Daniel, Lauren and Faith have all been on mission trips with Allen and Lisa and all are serving the Lord in various ways. Allen has been serving churches since his days in college. He has served as an associate pastor of music, youth and college. 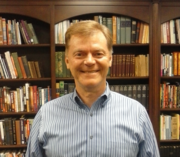 Allen has served as a Senior Pastor for twenty-five years. From 2001 – 2012 he served as Senior Pastor at Fairhaven Baptist Church in Demopolis, AL. Through the years he has also ministered in over 130 churches and has been on mission trips to Dominica, England, Wales, Nicaragua, India, Romania, Hungary and Poland. In 1997, Allen, Daniel, Lauren and Faith recorded a Christian children’s album entitled “The Truth Behind the Tales.” It was supported and promoted by the American Family Radio Network, the American Family Association, and Moody Radio. Grammy and Dove Award nominees and winners John Mandeville, Morgan Cryar and the late Roger Bennett helped produce and record the album. Todd and his wife, Christina, joined The Fellowship in March of 2007 from Tuscumbia, Alabama where he served as music minister for 3 years at Calvary Baptist Church. 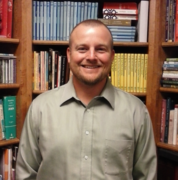 Todd is native of Tuscumbia and trusted Jesus Christ as his Savior and Lord at the age 18. Todd graduated from the University of North Alabama with BSED in Physical Education where he also served as President of the Baptist Campus Ministries. He has preached at youth camps and Disciple Now weekends since being called into the ministry in 2001. Todd has a passion for seeing youth come to know Christ and grow in their relationship with Him. It is his goal to see the youth at The Fellowship reach their community with the Gospel of Christ. Todd and his wife Christina, live in Albertville and have 3 children, Evie, Ella, and Eli. Faith Williams grew up in the town of Demopolis, Alabama, and moved from there to Cleveland, Georgia, in 2012 to attend Truett-McConnell University. She graduated from Truett-McConnell in May of 2016 with a Bachelor's Degree in English. During her time at Truett, Faith served as intern under Todd Smart as The Fellowship's Director of Children's Ministry. 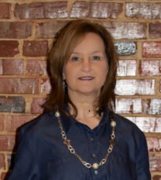 she and her husband, David, met while attending Truett-McConnell and were married in May of 2017. They currently live in Fyffe while serving the church. Faith grew up volunteering at her home church, going on mission trips, leading Bible studies, and working with children. she has always had a love for ministering to children whether that work was in another country, a school, or a church. Her heart in ministry is to teach children God's word so that their love for Him and His word will form deep roots within their hearts. Building a foundation in Christ at a young age will help children, as they grow up, to grow spiritually and be prepared for decisions and relationships they make in the future. Faith desires not only to minister to these children but also to minster to their families, and she is grateful for the opportunity to do so through this church and with her husband. David Williams grew up in Cohutta, Georgia, where he was an active member of Cohutta First Baptist Church. He graduated from Truett-McConnell University in 2016 with a Bachelor's Degree in Arts, with a focus in Contemporary Worship. While attending Truett, David spent the summer of 2014 serving as Interim Music Minister at Cohutta First Baptist. He also spent his junior year serving as intaern under Dr. Ben Caston, the music minister at Helen First Baptist. while at Truett, David met his wife, Faith Williams, and married her May of 2017. They currently live in Fyffe while serving the church. David grew up with an interest in music, and was a member of the choir at his church from a young age. His studies in music led him to attend Youth Music Camps offered by the Georgia Baptist Church Music Conference during the summer. It was while attending these camps that David felt God calling him to use his musical gifts to serve in a ministry. He has a heart for music and for using his gifts to serve the Lord. He serves The Fellowship as the director of Children and Adult Choirs. David finds joy in teaching music to both the children and adults, and leading them to worship God together in song.